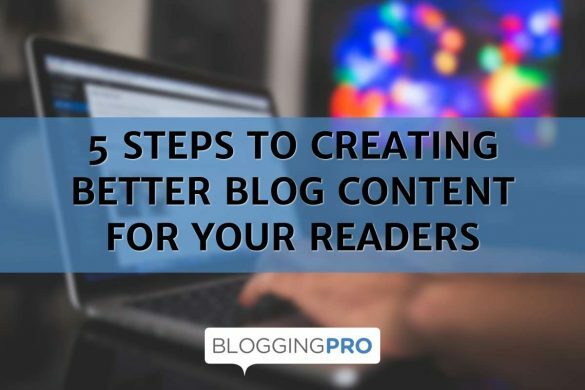 Creating valuable content is a skill many successful bloggers possess. People expect that bloggers who are new to the game will first struggle to create better content that their audience will love. In any industry, there will be vast resources of great write-ups, trends, and news available for the taking. However, the amount of information is as daunting as the process of writing blog posts. You simply don’t know which post to start with first! Luckily, we summarized these five ideas that will inspire you to create better content as soon as you can. First and foremost, you need to develop a persona for the audience you are serving your content to. And it’s 20x better if you have a niche. This way, your blog doesn’t just help every walks of life but is concentrated on a specific market. But how do you know what kind of audience do you have? One thing is to put out a bunch of content and study your analytics for traffic, shares, and comments that you get. After looking at your data, you can then narrow down on what kind of content you should be creating next. Secondly, if you already have sufficient knowledge of what your blog is all about, give Buzzsumo a try if you haven’t yet. This is where you can score subjects that are relevant to you and display posts that have high engagement rate. You’ll get ideas on the trends that are happening which you can maximize and use for your blog. Lastly, keep in mind that it’s not about you, it’s about your audience. One of the worst things you could ever do is give out wrong information to your audience. Not only is it off-putting but it can lead to a loss of active readers. In creating content, you don’t have to be an expert on the subject. You just have to do a bit of research and make sure that any sensitive and statistical information you mentioned in the post will always be backed-up with a source. You know what you want to write, but why do you want to write it? First, set what goal you want to achieve before you write those first few sentences. 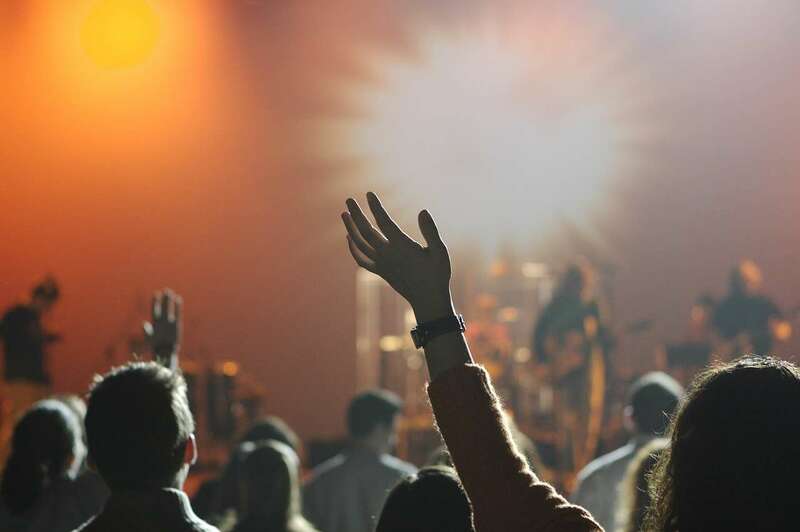 Is your content for attracting more audience? Is it for product promotion? Or do you just want to solve a problem? Once you’ve established this, you now know the road you are going to when writing your posts. Writing blogs is easier when you set a goal. Otherwise, you may be focusing on different points and ends up confusing yourself, especially your readers. Blogs posts are meant to be read without any hassle to the readers. Here’s a few to keep in mind. First, if you want to have better search engine ranking, you need to add keywords to your headlines. Additionally, it’s usually the first thing readers see so make sure to capture them with a good headline. Having good writing skills and delivering value to readers is one thing, but if you make it hard for them to be read it, then your readers might lose interest. Remember to use bold and italics to emphasize your points, use bulleted lists, separate your paragraphs well, and insert photos and captions. Calls-to-action doesn’t necessarily need to be obnoxious and loud looking thing that you see on some blogs out there. It can be as simple as asking your readers to leave comments, join a giveaway, or checking out a service. 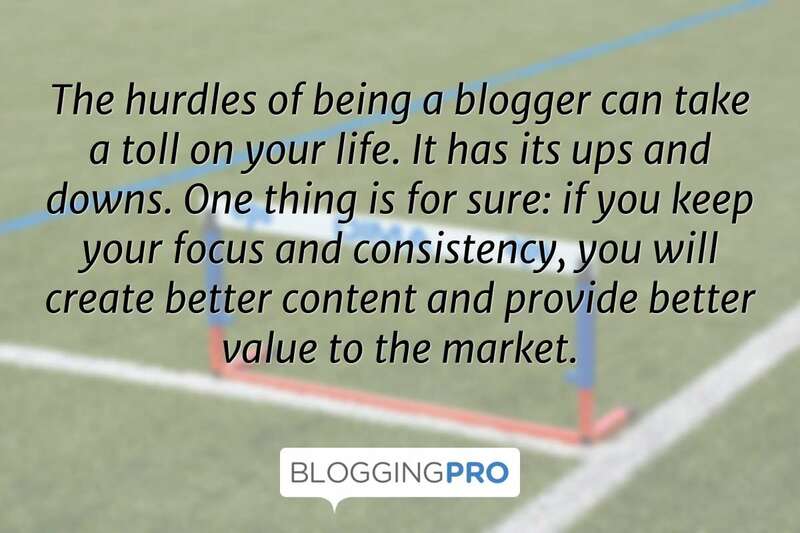 The hurdles of being a blogger can take a toll on your life. It has its ups and downs. One thing is for sure: if you keep your focus and consistency, you will create better content and provide better value to the market. Running a blog doesn’t mean that you need to work, work, and work. You will need to pause and play for a while. Take a break, watch a movie, or eat something good. And then go back to work. To sum it all up, you don’t have to be perfect on day one. It’s not human to do so anyway. Continue to study how your audience reacts to each of your content and inevitably, you will see a pattern which you can maximize to create a more powerful and valuable content in the future. Amazing post to know exactly what kind of content we should post on our website. Thanks for the info. Your author link and twitter link are not functioning. Great blog post, just couldn’t share from the page! Thanks for the kind words, Brylee! Fixed the Twitter link – thanks for the heads up! Also, you can find the social sharing buttons on top of the post.